Ruby on Rails is one of the most mature and stable solutions on the market. Even though it was created over 10 years ago, Ruby on Rails still remains as one of the most popular technologies in web development. Ruby on Rails is well known for its ability to create prototypes very fast due to its efficiency in development. That is the reason why for many startups Ruby on Rails is the first choice when it comes to choosing technological stack. Why is it worth to choose Ruby on Rails web development? Ruby on Rails was designed to develop projects as fast as possible. The framework was designed to make developers follow certain standards, what saves you time on decision-making and allows new developers to easily pick up your project’s convection. All in all, Ruby on Rails developers can build a working MVP in a very short time, no kidding! Rails makes prototyping from scratch extremely fast and easy. Hundreds of thousands of free libraries, so-called Ruby Gems, are available to you to get your project up and running in no time. Ruby on Rails proved itself to be a perfect match for many types of applications, it is extremely versatile. Airbnb, Twitch, Shopify, Github, Basecamp, Netflix, Hulu - completely different businesses, united by Ruby on Rails technology. All of them deal with extreme user number and traffic, so don’t worry, your Rails-based application will be very reliable and highly-performant. Ruby on Rails is one of the most mature solutions you can find, it has an active community and great amount of resources. Code written in Ruby is praised by developers because of its clarity and simplicity. It makes working with it much smoother and faster what leads the project to be bug-free and delivered in no time. Over 12 years of experience in Ruby on Rails development. We guarantee our products are simply the best. But don’t take our word for it, see for yourself! 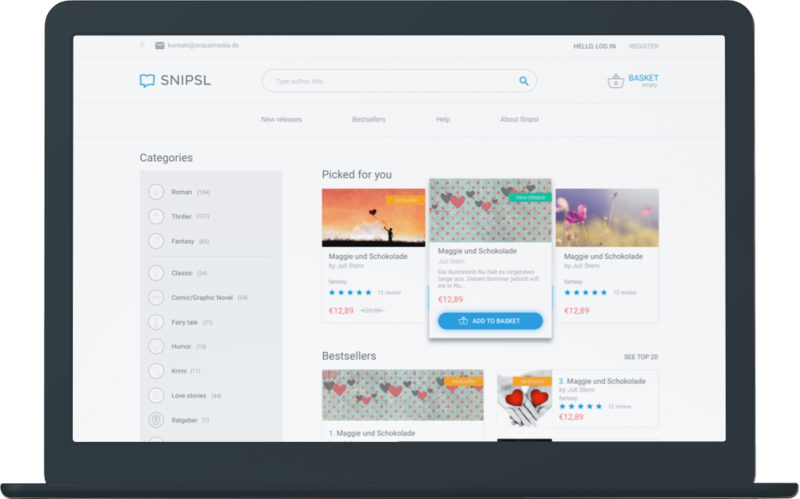 Naturaily Ruby on Rails development team helped Snipsl to fix and improve their product as well as develop new useful features utilizing newest technology. Snipsl turned to our team to help them build a better product for their loyal users and authors. Our Ruby on Rails developers share their knowledge and experience on our blog. We offer a wide variety of technologies. Are you looking for something different than Ruby on Rails?